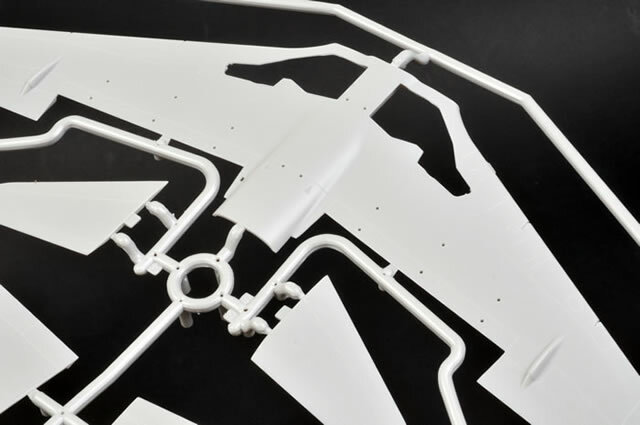 Contents and Media: 141 parts in grey plastic and 12 parts in clear; markings for five aircraft. 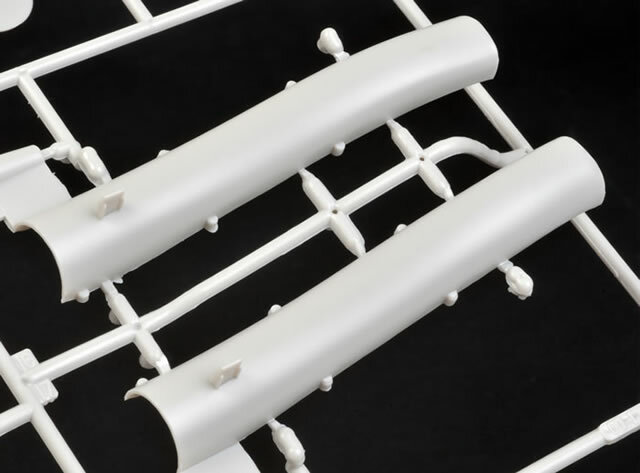 Advantages: High quality moulding; nicely detailed; recessed panel lines and raised rows of rivets; optional position flaps (extended or closed); straightforward parts breakdown; high quality decals designed by Crossdelta and printed by Cartograf. Disadvantages: Some colour issues on the decal sheet; no underwing pylons. 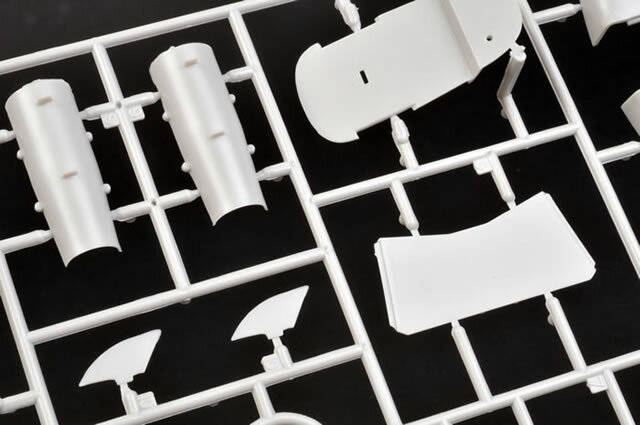 Kinetic has delivered a really nice kit here – accurate in shape, straightforward parts breakdown, a good level of detail and an ideal base for super-detailing. It is big enough to be an impressive display piece, but not so big that it will take over your house. Highly Recommended. The BAE Systems Hawk is a British single-engine advanced jet trainer aircraft. It first flew in 1974 as the Hawker Siddeley Hawk, and was subsequently produced by its successor companies, British Aerospace and BAE Systems respectively. 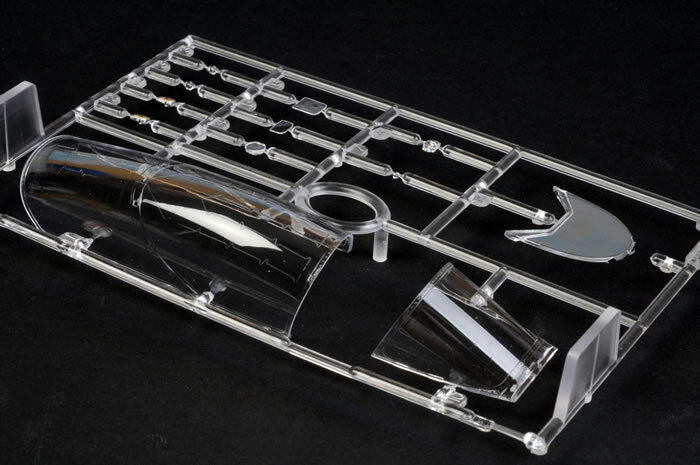 It has been used in a training capacity and as a low-cost combat aircraft. Operators of the Hawk include a considerable number of foreign military forces. The Hawk 100 series is a two-seat advanced weapons trainer with additional avionics, an optional forward looking infrared, a redesigned wing and Hands On Throttle and Stick (HOTAS). Further developments include Lead-In Fighter versions for South Africa (the Hawk 120/LIFT) and Australia (Hawk LIF 127). The most obvious distinction between these next generation Hawks and the original T.1s is the long slim nose; but they also feature a new wing, forward and centre fuselage, fin and tailplane. In fact, the 100 series variants have only 10% commonality with the existing first generation aircraft. The new aircraft also have four times the fatigue life of the original aircraft. The Hawk is still in production in the UK and under license in India by HAL with over 900 Hawks sold to 18 customers around the world. 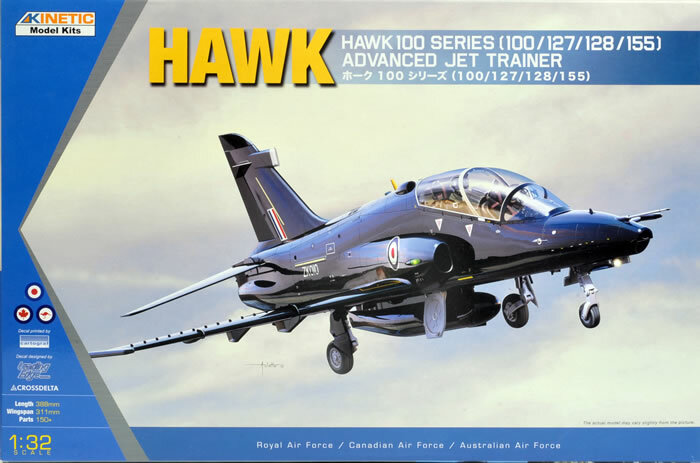 Both Airfix and Italeri released 1/48 scale Hawk 100 series models some years ago. 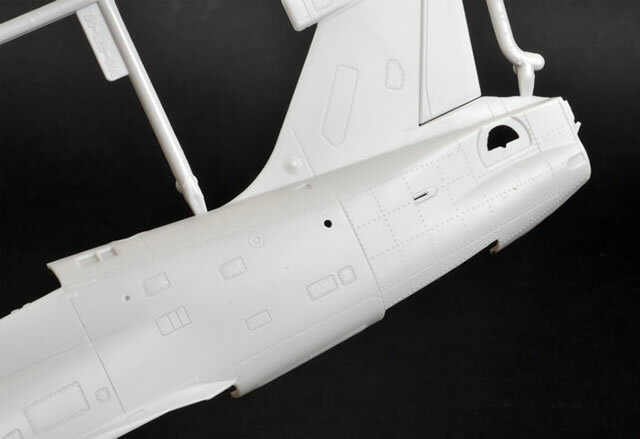 Unfortunately, both models suffered dimensional inaccuracies, especially around the nose. 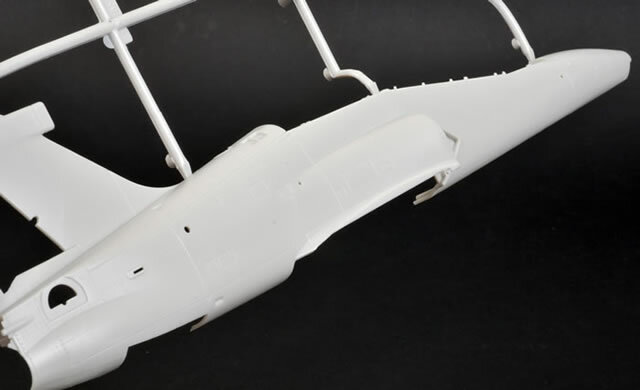 In 1/48 scale, the limited run High Planes Hawk LIF 127 remains the most accurate option, although it will demand some modelling skills due to the amount of preparation and scratch building required. 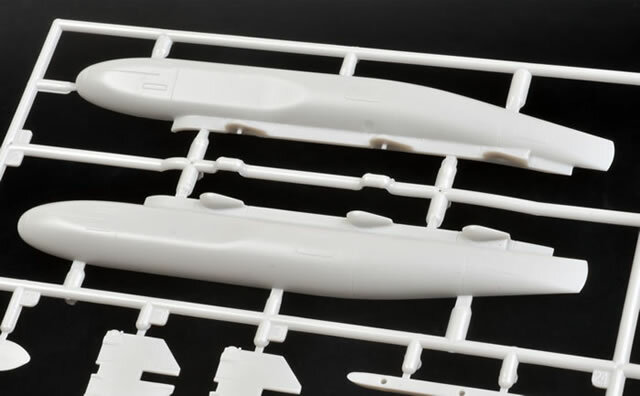 In 1/32 scale, we have the Red Arrows Hawk T.Mk.1, but the market has been awaiting the long nose versions in vain. 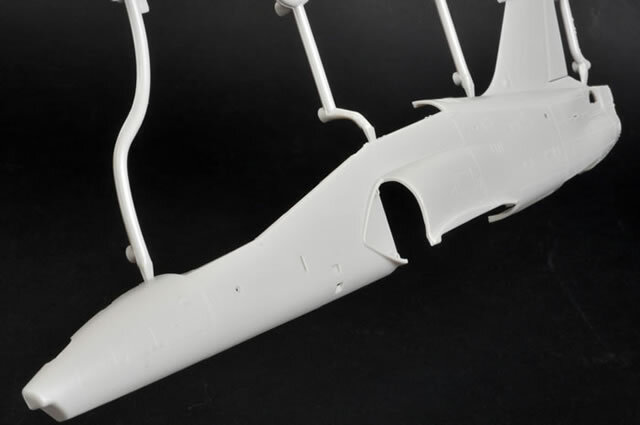 Kinetic continues its commitment to modern jet-age aircraft with its first British subject - a 1/32 scale Hawk 100 series. 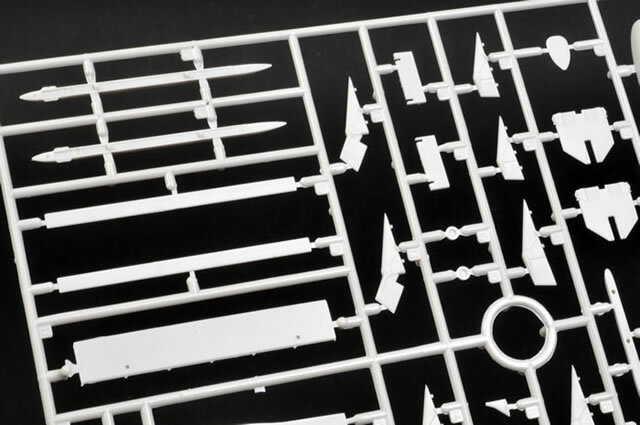 The kit comprises 141 parts in light grey plastic, 12 parts in clear and a photo-etched fret. Markings for five aircraft are included. 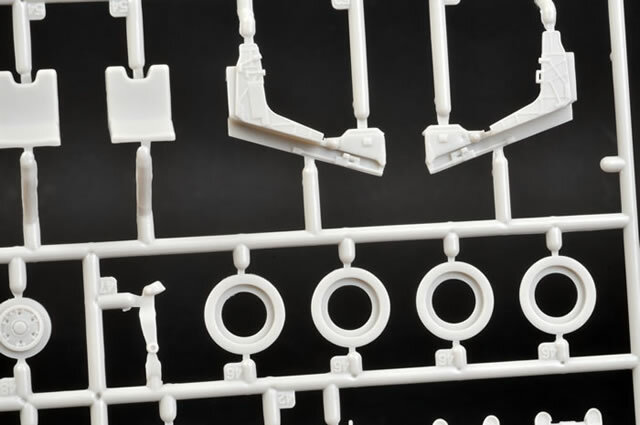 This model may be finished as a Hawk 100, 127, 128 or 155. 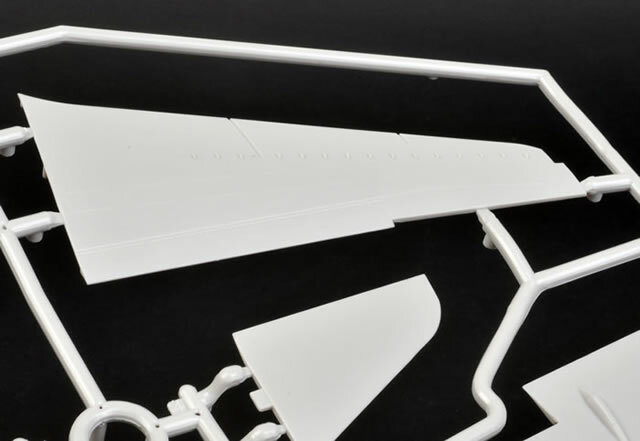 The general shapes and dimensions are accurate, and the raised rivet detail found on the rear fuselage and below the cockpit are quite correct. 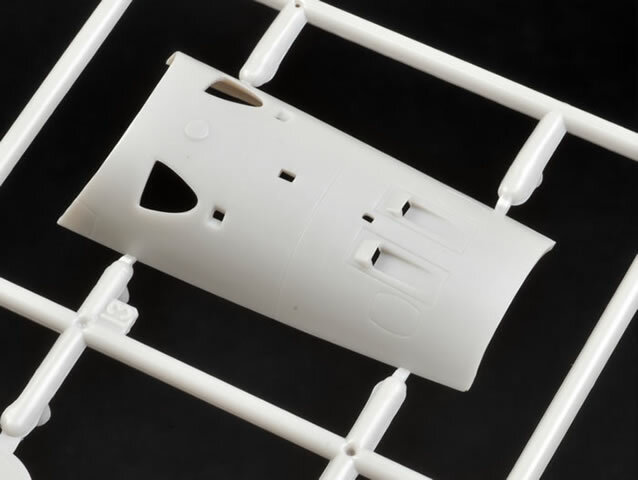 Indeed, these rivets are even more prominent on the real aircraft, but the representation on this model is probably ideal for the scale. Most of the rest of the surface detail is depicted by finely recessed panel lines. Cockpit detail is nice straight from the box, with raised detail on the side consoles and instrument panels; and photo-etched harness straps for the seats. A generic cockpit layout is offered (most likely for the Hawk 100), but the specific details of the variants differ, especially the instrument panels and consoles, so consult your references carefully. No doubt both Kinetic and Eduard will release photo-etched updates for the front office and these differences may be addressed then. 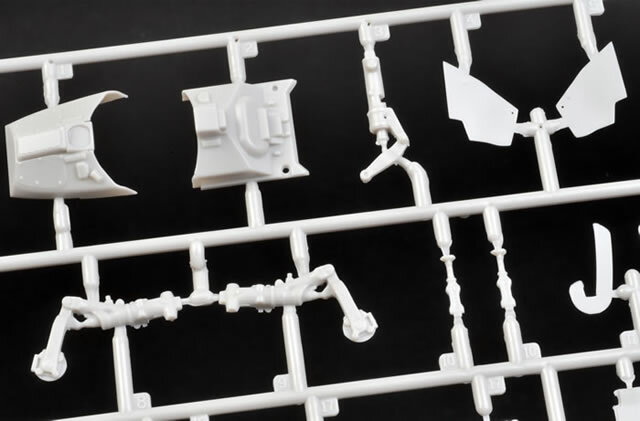 The cockpit is certainly a large and exposed area that will justify a bit of extra time spent on detailing and painting. The big canopy is split into windscreen and opening section. The latter features the prominent detonation chords moulded into the top. 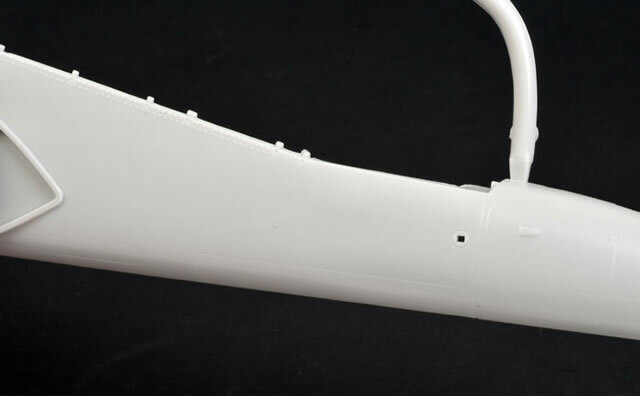 The jet intakes are full length right back to the engine fan, and split vertically. 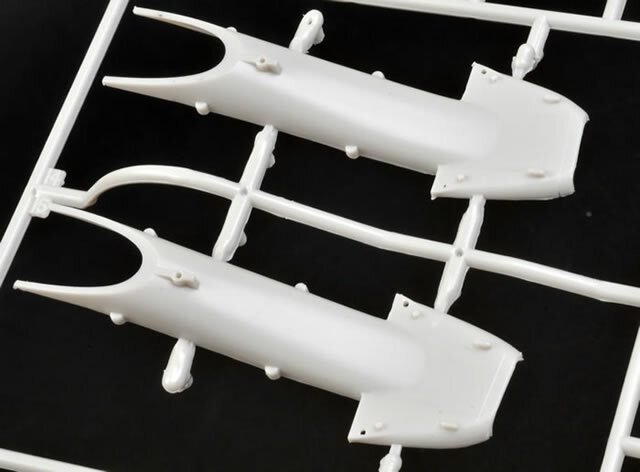 The double-slotted flaps are provided as separate parts and may be posed either dropped or closed. This is permitted by two different sets of actuators. 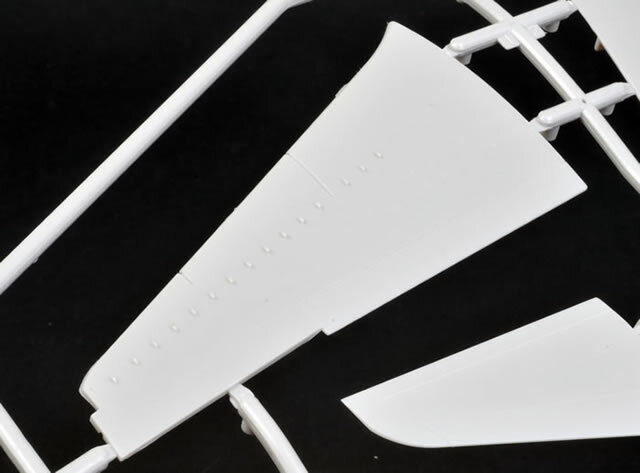 The leading edge wing fences are separate plastic parts, while the vortex generators are moulded in place on the wings. Two AIM-9M missiles and a centreline tank are also supplied. This is the non jettisonable tank carried only by Canadian Hawks so this may be used for the Canadian optiom. 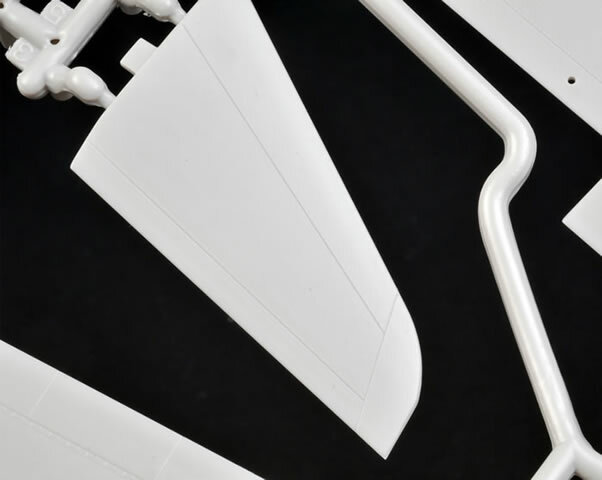 All Hawk 100 series aircraft come off the same assembly line and share a common wing, which is equipped with seven underwing pylons (one centreline and three under each wing). 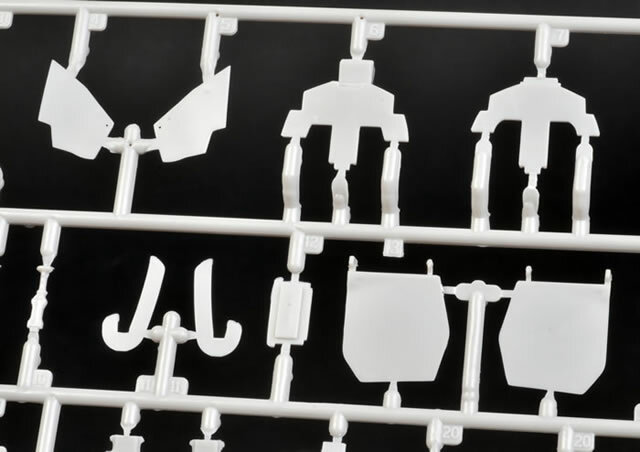 The wing pylons are not included in the kit. 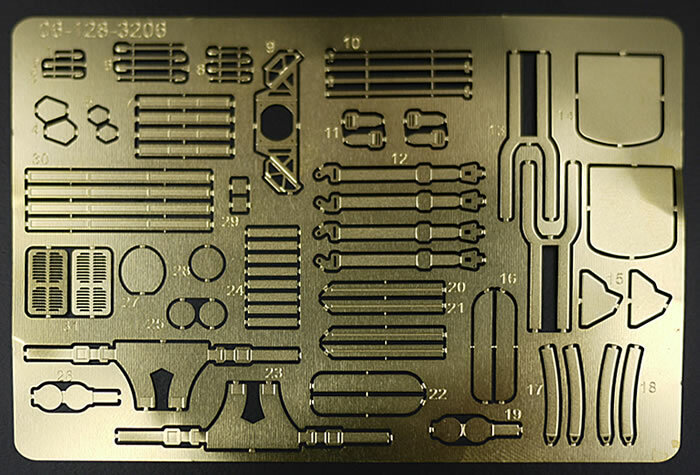 Decals are designed by Crossdelta and luxuriously printed by Cartograf. 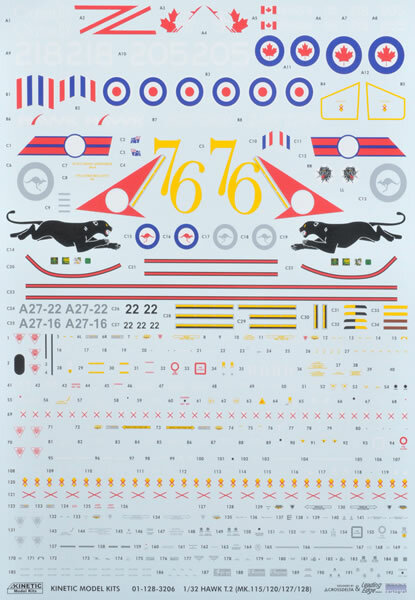 The decal sheet is big and colourful, with perfect registration and good colour saturation. The size and colour of the 76 Sqn RAAF tail band are off though. The band is too wide; while the red and blue are both too bright. 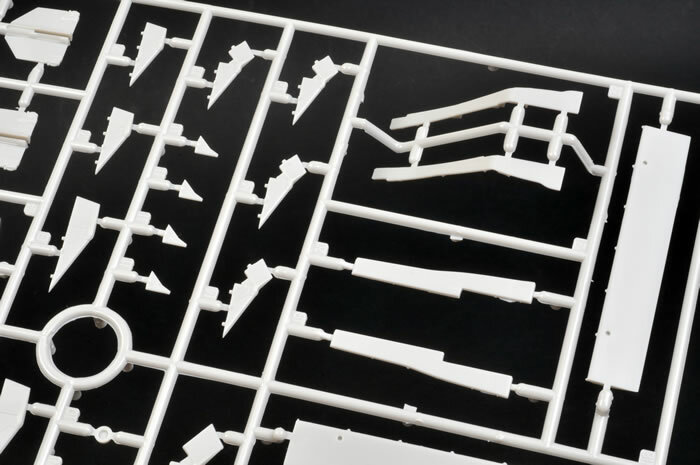 Kinetic has delivered a really nice kit here – accurate in shape, straightforward parts breakdown, a good level of detail and an ideal base for super-detailing. It is big enough to be an impressive display piece, but not so big that it will take over your house. The Hawk 100 series offers a huge choice of camouflage and markings too, so we can only hope that after market decal manufacturers answer the call. 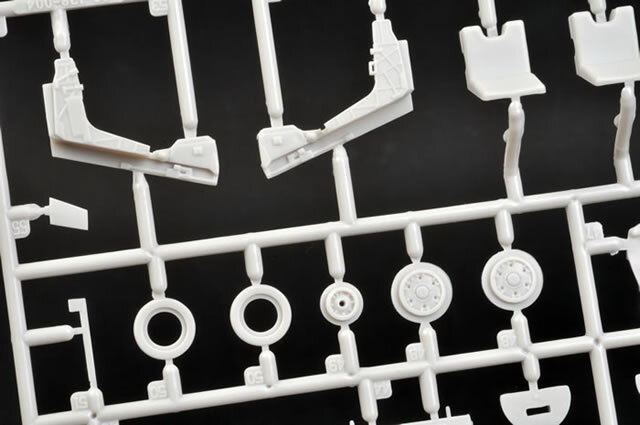 The model will be suitable for all skill levels, and looks like it should be a nice easy build. 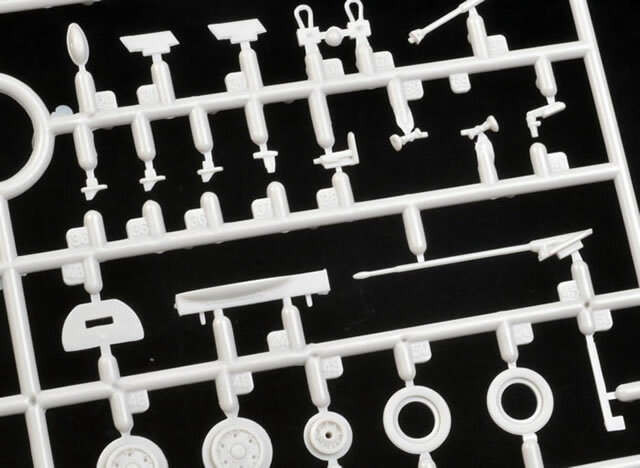 USD$39.99 sounds like pretty good value for a 1/32 scale jet too! 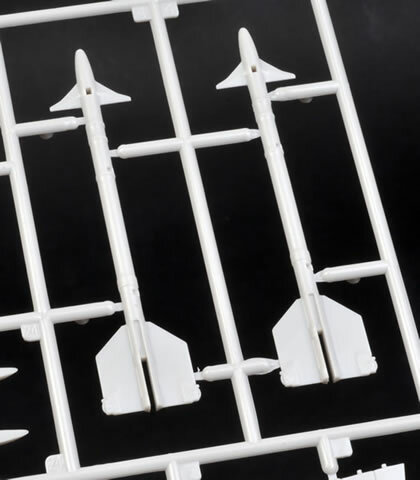 Stencils are provided for the airframe and the AIM-9M missiles.